These 3-pepper smoked hickory wings are an easy grilling recipe that whole family will love. Spicy and sweet, they only take a few minutes to prepare and 30 minutes to grill! Stir together the dry rub ingredients in a small bowl. 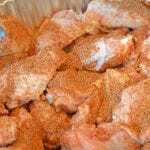 Season the wings, using all of the rub for extra hot wings or half of the rub for spicy wings. 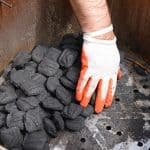 Build a charcoal fire for indirect cooking using Kingsford® Charcoal by situating the coals on only one side of the grill, leaving the other side void. Preheat the grill to 450 degrees Fahrenheit. Place the wings on the grill over indirect heat and close the lid. Cook for approximately 30 minutes or until brown and crispy. Coat wings liberally with Kingsford® Original Smoked Hickory BBQ Sauce and cook an additional 2 minutes, allowing the sauce to caramelize. 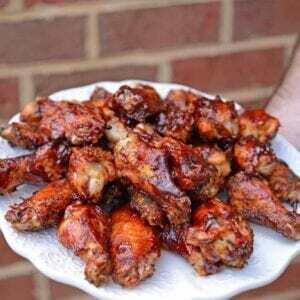 Remove wings from the grill, and serve with extra sauce.